If you find this site — this is a sign that you will be able to improve the quality of your life and become a truly free person. A.EVSUTIN PARTNERS – is a group of companies for the support and protection of private businesses and persons that provides a full range of services for foreigners in Ukrainefrom the creation or acquisition of a business to supporting foreign investment in Ukraine with Blockchain and real estete, hiring qualified personnel for enterprises with foreign capital, issuing licenses and certificates for the legitimate work of companies in Ukraine, passing a tender legal and accounting support for the current activities of foreign companies in Ukraine, support for the procedures for the export and import of goods and services, marketing research, the resolution of disputes in the negotiation or judicial process, processing migration documents for busnesmens and students, marriage services, interpreters and tourist services for foreigners in Ukraine, the conduct of court cases in administrative, civil and family disputes, criminal cases in the economy, detective services and private security services. 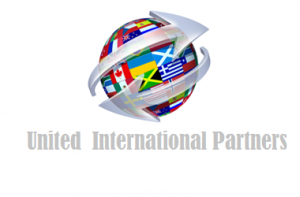 In addition, due to the developed infrastructure of offices and representatives of UiP group (UNITED INTERNATIONAL PARTNERS), our company provides services to the Ukrainian businesses that want to scale their business in other countries, providing a full range of services in the countries where we are present (USA, UK, UAE, Canada, Mexico, BVI, Belize, Nimecchina, France, Poland, Latvia, Italy, Spain, Gretsia, Cyprus, Albania, China, Hong Kong, South Korea, Singapur, India, Pakistan, Kazakhstan, Belarus, Azerbaijan, Georgia, South Africa, Nigeria, Zambia, Congo).